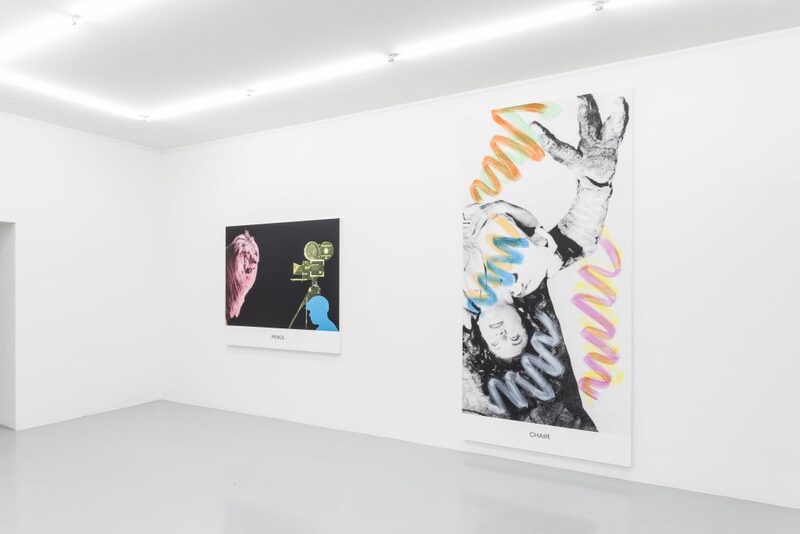 The exhibition by John Baldessari at Mai 36 Galerie, which has represented the artist for a quarter of a century, since 1991, presents a new group of works reminiscent of film stills. The artist uses a combination of text and image, linking vibrantly coloured pictures and captions to a contrasting white background. 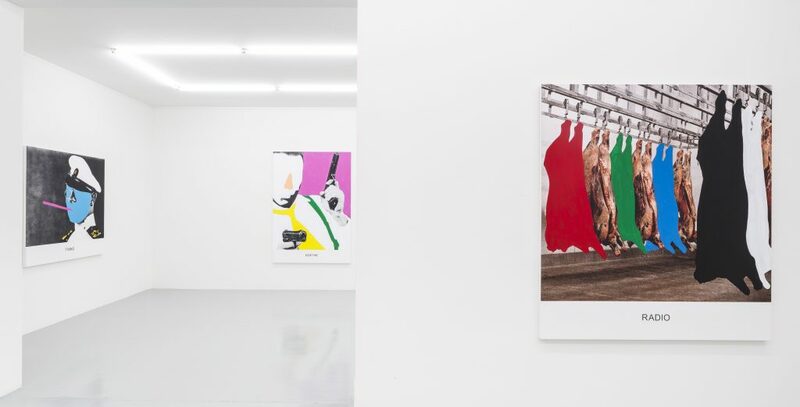 In his oeuvre, Baldessari, who celebrates his 85th birthday in June, often questions the relationship between text and image by juxtaposing the medium of the written word alongside that of the visual image. In doing so, he contrasts two different means of communication and explores the complex relationship between two fundamental forms of human expression. Combining text and image within a work formulates new statements and, with that, opens up a whole new range of connotations, associations and innovative approaches that inspire different ways of thinking. 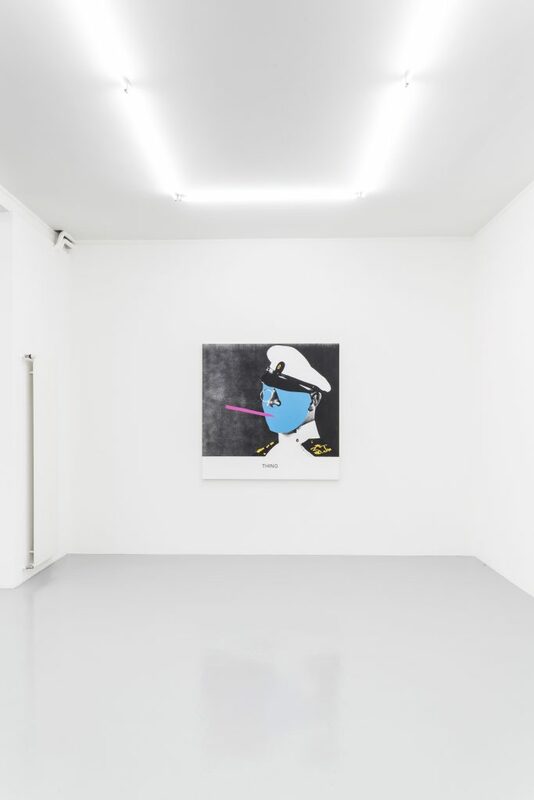 The subject matter in these new works appears to be randomly linked with the accompanying captions, sometimes to humorous effect. 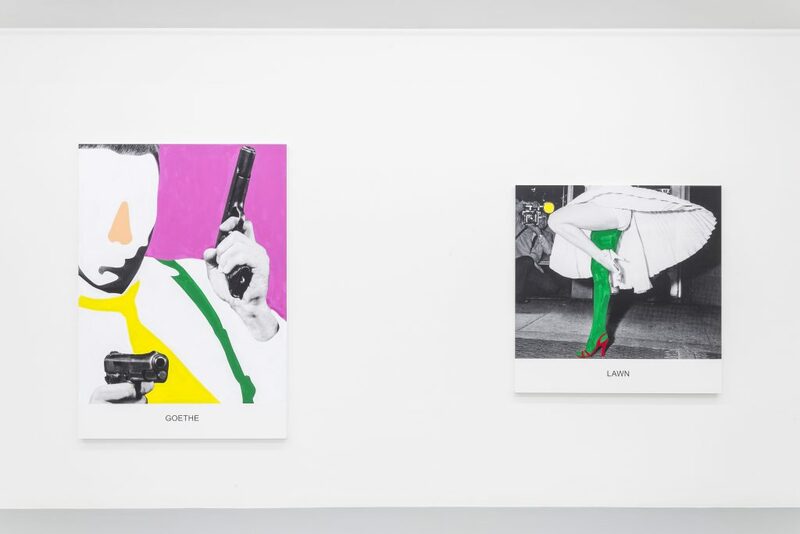 Goethe (2015), for instance, shows a person brandishing a weapon, while the caption GOETHE seems to be entirely unrelated. Similarly, Radio (2015) shows a scene in an abattoir with the title RADIO. Customarily, a text explains an image and a picture illustrates a text. 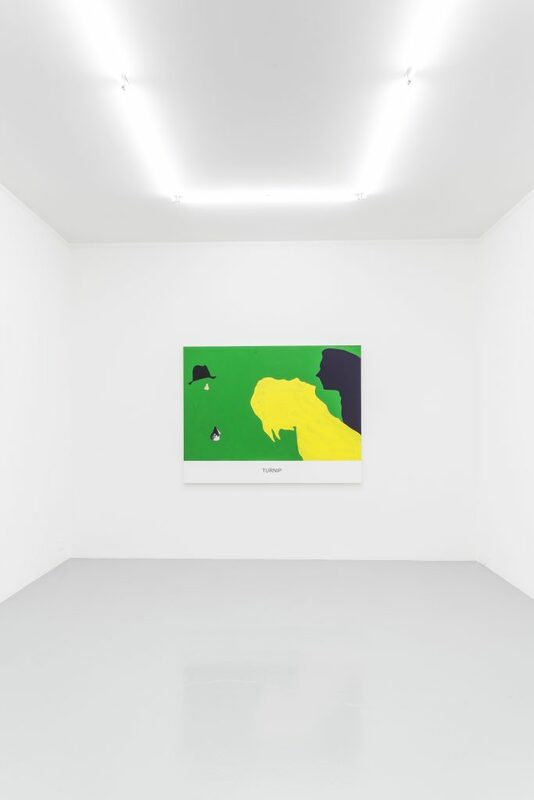 By providing captions that do not appear to be directly related to the image, Baldessari undermines conventional ways of reading. However perplexing these montages might be, the associations they trigger unleash a broad spectrum of meaning and open up surprising perceptual possibilities. And so, behind a seemingly random approach lurks an artistic idea that inspires the viewer to think out of the box. 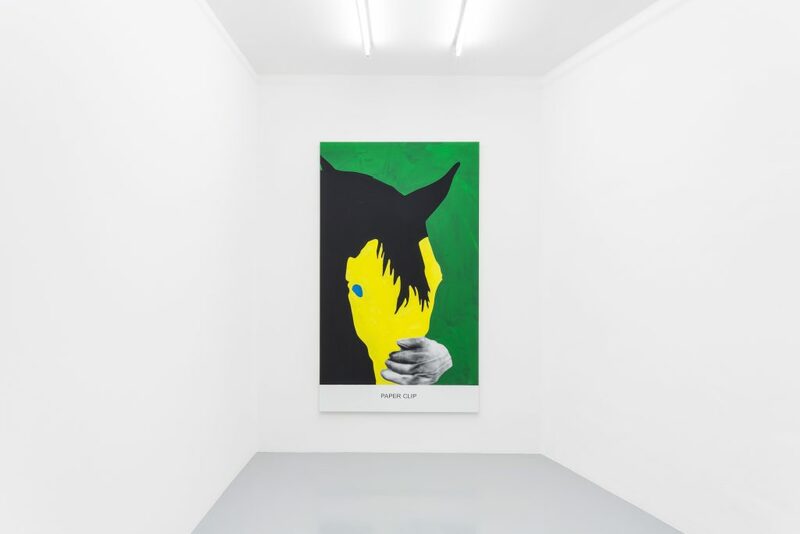 John Baldessari, Exhibition view Mai 36 Galerie. Courtesy of Mai 36 Galerie.